A frequent response from my teenage sons when we are late setting off for rugby training…. Nothing that a second grilling for lateness from the Head Coach can’t deal with! Sadly performing to time is perhaps the single biggest universal failing in the construction industry, variously affecting the different interest groups up and down the supply chain from individual operatives to end user clients. Delays cost money at all levels, in different ways and to varying degrees. The root cause of failure to perform to time is due to poorly considered programmes – the schedules of work that the industry measures its performance against and against which binding commitments are made. In our experience, programmes are often prepared by dividing up the project into the activities to be performed, between the time when the work can commence and the time by which it is required to be completed. This may on occasion work – but rarely. At college we were taught construction technology and estimating, building up unit rates for elements of the works. These are the basic building blocks of good programming techniques. To understand construction technology is to appreciate how a structure must be built and the sequence in which the elements must be ordered. In order to build up a price, the output and therefore resources required to deliver the components of the build must be known. To be of any use as a management tool a programme must show the critical path or paths through the whole project period – that is the longest continuous chain of activities, which defines the duration of the project. Without this it is not possible to monitor site progress with any degree of confidence or to assess the impact of changes and responsibility for any delays. 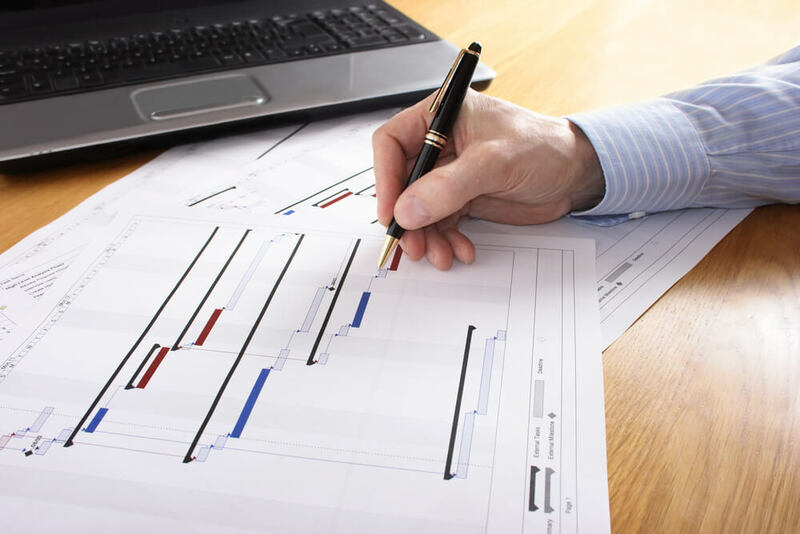 The best time to get the programme right is at the outset rather than a retrospective analysis of why the project went late and who is to blame and pay. This is a matter that C-Link’s Partner, Commercial Risk Management, is able to assist with, whether to build up the construction programme from first principles or to review programmes that your in-house team have created. Perhaps we all need a Head Coach bellowing at us about time keeping!